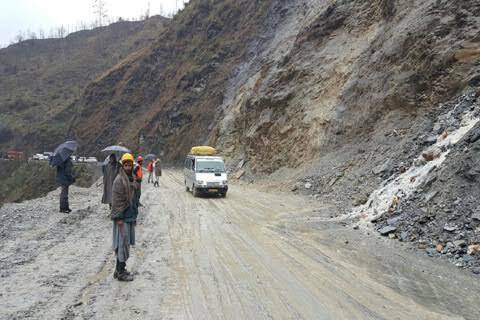 Jammu, March 12: The Jammu-Srinagar highway was restored for one-way traffic on Tuesday after it remained closed for several hours, a traffic official said. Landslides at Khanpora outside Bannihal blocked the highway on Monday and it was not until 10 p.m. that the clearance operation was over. “All stranded vehicles were then allowed to move to decongest the road. Traffic will move one-way from Srinagar to Jammu today,” he added. The nearly 300-km long highway has been presenting serious challenges to the authorities with the Ramsoo-Ramban remaining particularly vulnerable to landslides and shooting stones.